In late 2015, a group of students protested on the campus of the University of Missouri. To keep student journalists from getting involved, an assistant professor of communications, Melissa Click, attempted to block them. Her actions resulted in being charged with assault and being fired from her job at the University. 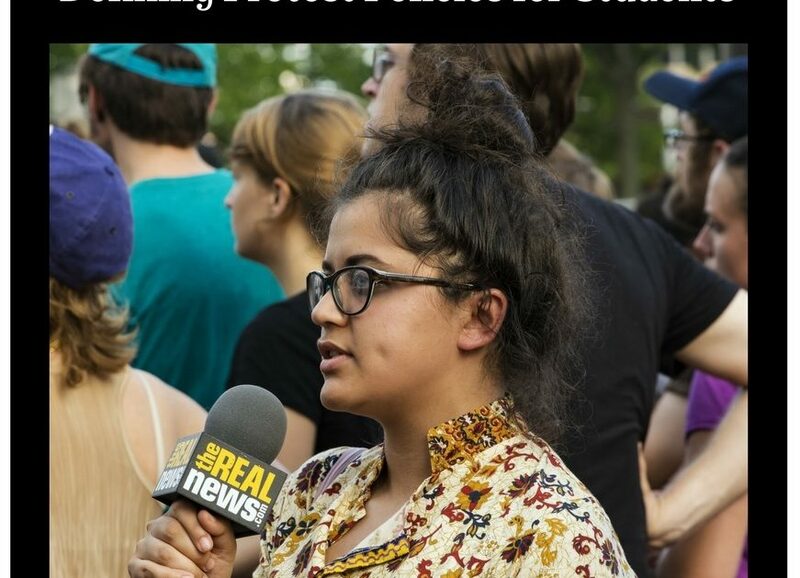 Since her actions to silent student journalists’ First Amendment rights, the University of Missouri has seen a decline in enrollment. Because of her actions, colleges and universities around the country would be wise to establish clear policies regarding First Amendment rights and student-led activities. At this point in time, the Indiana University and IUPUI system does not have a policy in place that clearly defines where the First Amendment’s freedom of speech and freedom of the press can be fully expressed. A strong policy should include clearly labeled locations on campus and what can be done in those spots. There are three different types of spaces that can be designated for student-led activities: public, limited public, and designated public spaces. Public spaces include common areas, sidewalks, streets, and parks. Designated public spaces include classrooms, auditoriums, and public utilities spaces. A well-crafted policy should include protections for groups that are meeting in private, like sororities and fraternities or political groups meeting to plan events. The spaces where they meet should be free from intrusion by traditional journalists. However, in public spaces, like parks or sidewalks, journalists should be allowed to enter those spaces and speak with students. But, even the term ‘journalist’ would need to be defined as blogging is a reality in today’s world. The policy should also include how protests can be covered by journalists. When the most protected types of speech need to be moved to safe areas, schools need to address how they recognize this need and where the safe areas should be. If Professor Clink and the University of Missouri had a policy in place that addressed the potential issues with the First Amendment on college campuses, they would not have their problems they are facing today. The IUPUI system needs to be proactive to avoid any fall out that could occur from First Amendment violations.